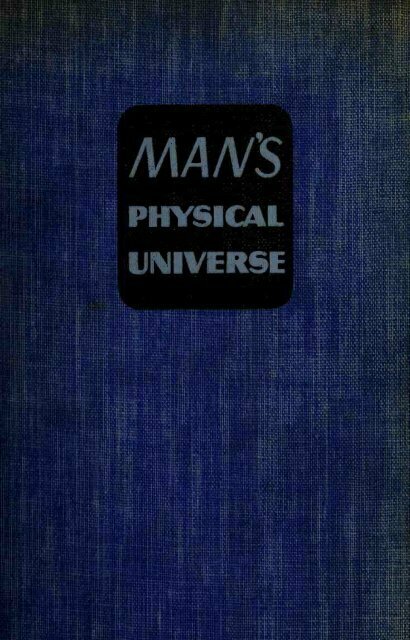 558 MAN IS MASTERING HIS MATERIAL WORLD changed in properties. Powdered sugar does not look like granulated sugar, but it tastes sweet. Powdered sugar may be dissolved in water, but it still tastes sweet; and it may be obtained from the water in crystalline form by evaporating the water. Obviously none of these changes has converted the sugar into a new substance but has merely changed its physical properties. Any change resulting in a change in physical properties alone is called a physical process. It is a common observation that sugar may be greatly changed in properties by placing it on a hot stove lid. It is observed to produce smoke and a black material which we recognize as carbon. If the sugar were charred in a test tube, water would also be observed to condense from this smoke in the cooler portion of the tube. It is obvious that new substances have been formed in this case. Homogeneous substances of invariable composition, such as sugar, which can be decomposed into simpler substances are called compounds. On the other hand, one can heat iron to a white heat and can dissolve it with strong acids without decomposing it into a simpler substance. Substances like iron, which cannot be decomposed by ordinary chemical means, are called elements. It is not always easy to tell whether certain substances are elements or compounds; it is very difficult to decompose sand by heating, and one might consider it to be an element. Methods have been found, however, by which sand can be decomposed into the two elements, silicon and oxygen, so we now know that sand is a compound. Lavoisier drew up a list of substances recognized as elements in 1790. This list included a number of elements, such as sulfur, phosphorus, carbon, silver, arsenic, bismuth, cobalt, copper, tin, iron, manganese, mercury, nickel, gold, platinum, and zinc. It also included light, heat, and eight substances now recognized as compounds. Among these were sand and compounds of oxygen with other metals (calcium, magnesium, barium, and aluminum) which, like sand, could not be decomposed by any method known to Lavoisier. attracts the iron but not the sulfur. If iron powder and powdered sulfur are intermingled, it will be found that the mixture can be separated by use of a magnet, which This mixture may also be separated by use of carbon disulfide, which dissolves the sulfur but not the iron. If the mixture is heated in a test tube, it will start to glow, and soon a new product will have been formed, which is homogeneous in appearance, black in color, is not affected by a magnet, and is not soluble in carbon disulfide. Many other tests may be carried out to show that an entirely new substance has been formed. In this case a compound substance is produced from two elemental substances.